Larry Joe Taylor started out in the early 70’s no different than many of his fans today: A full-time employee with a deep love of music, armed with only an old guitar and a dream. Influenced by the songs of Guy Clark, Jerry Jeff Walker, The Doors and Bob Dylan, Taylor writes songs that form his own genre he likes to call “Coastal & Western”. The varied moods of Taylor’s songs keep the crowds on their toes while he shifts from his loud-and-proud dancing tunes to soulful ballads. Aside from festival building, Larry Joe Taylor's latest project, Sailing on Sunday, (released in the spring of 2012) is his 6th album to be released on Taylor’s own Boatfolk Record label. Sailing on Sunday is a collection of four original songs, five songs co-written with close friends Clayton Landua, Keith Sykes, Chuck Pyle, Rachel Stacy, and Dave Perez, and two songs written by Richard Leigh and Randy Pease, respectively. The record also features guest vocals by Dave Perez and Rachel Stacy. “I've been very fortunate to have worked with many great songwriters. 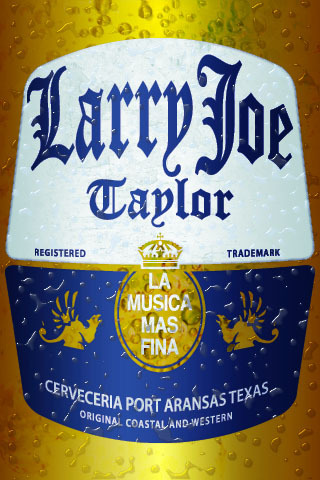 I'm proud to be part of all of Larry Joe Taylor's records. His songs have always rung true to me. The collection of songs in his new record, Sailing on Sunday, are some of his best. They create a vivid picture and mood and Larry's vocals are totally believable. Yes, he's as real as it gets,” stated Lloyd Maines, producer of Sailing on Sunday and long time friend. 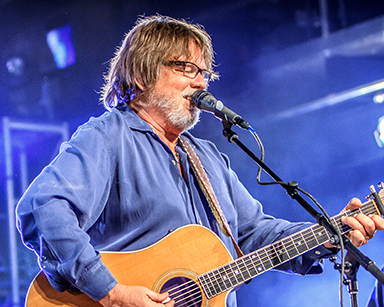 Not only does Taylor write most of the songs for his own albums, he's also proud of the many other artists who have cut his tunes, including Jerry Jeff Walker and the Lost Gonzo Band, Keith Sykes, Richard Leigh, Gary P. Nunn, Michael Hearne, Joe Pat Hennen, Mike Graham, Doc Wesson, Tommy Alverson and Brian Burns. “Of all the songwriters I’ve had the privilege to work with, Larry Joe Taylor has made the most of natural talent. Not only is he a great songwriter, his skills for production, promotion and leadership are outstanding! I’m proud of his accomplishments and happy I had the opportunity to help him get started in what he has developed into a very successful career,” stated Texas music legend Gary P. Nunn. 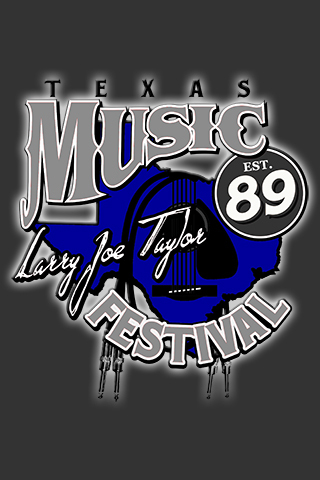 "Larry Joe Taylor is one of the grandest success stories in modern Texas music," writes Brad Behler (Galleywinter). "Taylor has transitioned from a regular 9-to-5er to a full-time good timer. He writes, performs, produces, and promotes his own special brand of music. LJT, as he is also known, donates his time and talents to numerous causes and events. His support and guidance has been instrumental in helping to launch young careers." Without a doubt, the opinions that hold the most weight for Taylor are those of his fans. 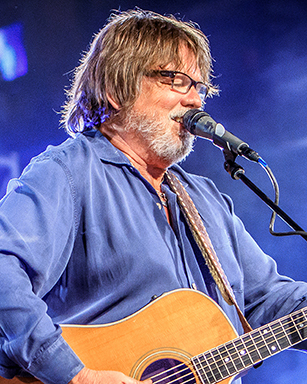 Blogger Mike Parrish perhaps most accurately described what fans love about Taylor and his songs, "The music of Larry Joe Taylor is flavored with an engaging coastal blending of Texas country music and salty melodies reminiscent of the slow-paced, relaxed experience of island-hopping through a long carefree tropical vacation. The lyrics fall like summer-morning dew drops from the palms of Port Bolivar while Captain LJT sets a course that will take you far away from the hustle and bustle of the modern world and into the realm of a nonchalant and unrestrained existence when you make landfall on his 'Third Coast.' When you hear original homespun lyrics like, 'I said if I ain't sinkin' well I must be swimmin' - If I ain't dead, I must be livin' - Livin' is the thing, that scares me the most,' you automatically realize that you're listening to the words of an artist who isn't afraid to bear his soul as long as the music is honest and, with Larry Joe Taylor, that's exactly what you'll hear and that's exactly what you'll get."